Nasa Marikina today ang mga DaBarkads sa Barangay and Maine rocks a solid kickass pair of boots. Of course, the shoe capital of the Philippines so you can expect quality craftsmanship. It was bought by Kuya Jose for only 1000 pesos pero neshen ang gara ng pagkakagawa. Maine shared it via her IG live. Take a look at the photos below I am sure instant best seller yan! 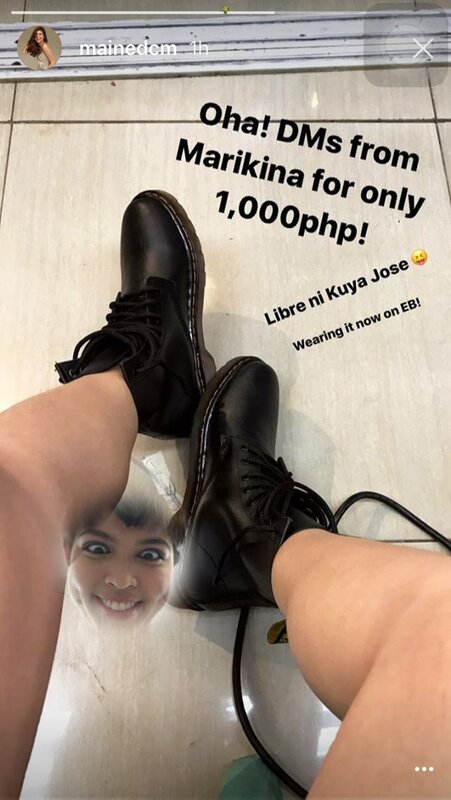 What do you think guys sa boots ni Maine? 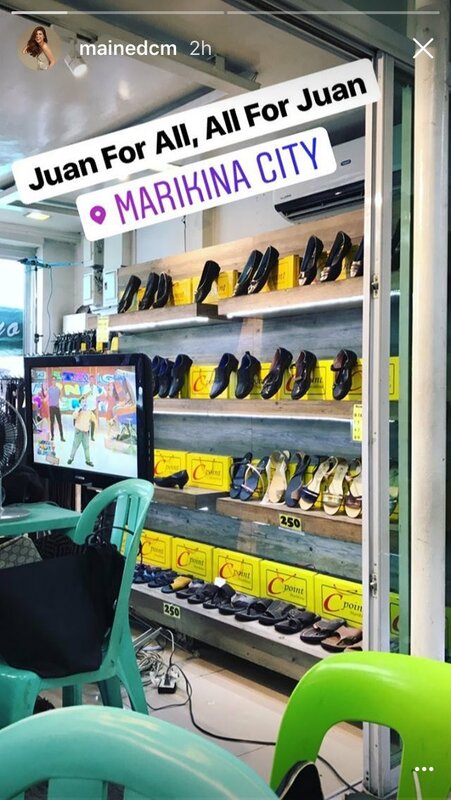 "Maine Mendoza Shoes from Marikina Bought by Kuya Jose for 1000 Pesos Only", 5 out of 5 based on 6 ratings. Maine Mendoza Headlines Tabloids Because of ‘Sensual’ Act? Did Alden Richards Tape an SPS Segment? Going to Maldives with Maine Mendoza?